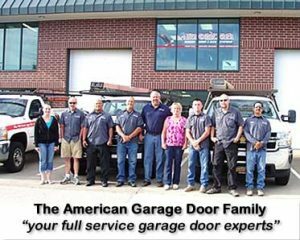 Here at American Garage Door and Gate Systems, we are committed to providing excellent service and high-quality products for our clients. We have 35 years of experience with garage doors, and we put that knowledge to good use. Today, we would like to highlight AMARR garage doors in particular and tell you a little bit about the AMARR garage door advantage. AMARR is a great company that has a good and longstanding reputation. After all, they have been around since 1951, so they must be doing something right! In fact, they are now one of the leading designers, manufacturers and distributors in the world for garage door systems for all types of applications. Whether you need a door for a residence, condominium, warehouse, shopping mall, commercial building or anything else, AMARR has a product that will fit your needs. Not only does AMARR offer high-quality, durable products but also they have a variety of pleasing styles to fit with any building design or era. So, you can have your cake and eat it too! The AMARR Classica collection of carriage house doors is one such example. These carriage house doors are specifically designed with a three-part door (instead of the typical four) in order to more closely mimic an authentic carriage house look. But, if that is not your thing, don’t worry because there are plenty of other options to choose from to add the perfect decorative touch to your home. AMARR is also highly focused on delivering a safe product and employs their special Safeguard Pinch Protection system to greatly lessen the risk of severe finger or hand injuries from their garage doors. The technology is so affordable that you can add it at virtually no additional cost. Protecting the environment and keeping your energy bills low is also a priority at the AMARR factory. You can choose from different CFC-free insulation options that offer varying levels of energy efficiency dependent upon the location of your home and your particular needs. As has been mentioned before, AMARR is committed to high quality and extremely durable garage doors. This is one more reason they do all of their manufacturing in the USA. Here is another nod to their efforts at environmental awareness and keeping our planet clean. Their products are made with as much as 90% recycled materials and around 5-10% of the steel is reused at the mill. As you can see, the AMARR garage door advantage is significant. AMARR doors are proudly used by many reputable companies across the United States and even throughout the world. And of course, American Garage Door and Gate Systems is one of them. We proudly stand behind the work that we do on every installation and every product that we offer. That’s why we’re pleased to say that we offer AMARR products to our customers. It is just one of the ways that we provide great service and great value and keep our customers happy year after year. To learn more about AMARR garage doors and installing one at your home, business or commercial property, contact us for your consultation.